"Best birthday party I've ever been to!!!" Take a guided tour of our Livonia building, hosted by Brady! Great for adults and kids! Every party is hosted by an event coordinator who will not only show you how to use the equipment, but will put on a show by facilitating several different hilarious games that are almost as fun to watch as they are to play. We play short games and rotate often. Guests not playing will enjoy a fun penalty box to watch and take pictures attached to your very own private field. Afterwards, you'll head into our spacious party room, with enough seating for 32 (can seat up to 80 for large groups...call for pricing 734-223-2819). It includes 4 tables for guests, two tables for food, and a fun basketball games to keep the guests entertained. Perfect for Birthday's, Bachelor & Bachelorette parties, team building, youth groups, or any group you want to have an awesome time! Into Fortnite? Check out our all new Fortnite pack add on! Scroll down for details! WHY HAVE YOUR PARTY HERE? - THIS IS MORE FUN THAN ANYTHING ELSE! - ALL PARTIES ARE VERY STRUCTURED AND ORGANIZED. 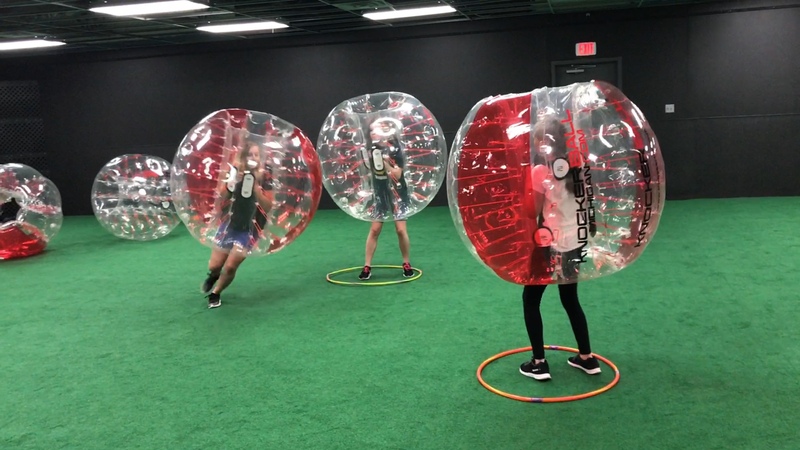 WE FACILITATE SEVERAL DIFFERENT GAMES USING THE KNOCKERBALLS, SUCH AS BUBBLE SOCCER, SHARKS AND MINOWS, BATTLE ROYALE, AND MORE. YOU JUST TAKE PICTURES AND HAVE FUN! 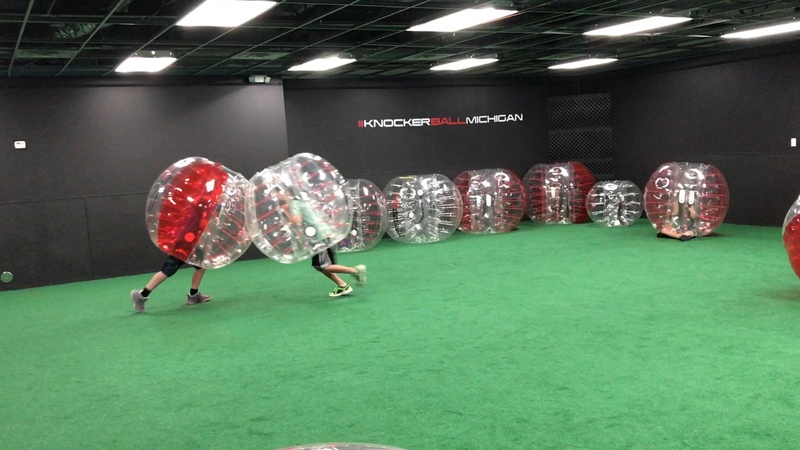 Knockerball isn't just for kids. In fact we have far more work parties, holiday parties, bachelor parties, and bachelorette parties than we do birthday parties. You'll love seeing your friends and co-workers get flipped upside down. And who doesn't want to knock over their boss? Includes an event coordinator, private field, and private viewing area for your guests. Each party gets 45 minutes of party room time after your field time. Now 2 locations to serve you! Livonia, our original location, Located right off I-275 at 38741 Ann Arbor Rd. Livonia, MI 48150. 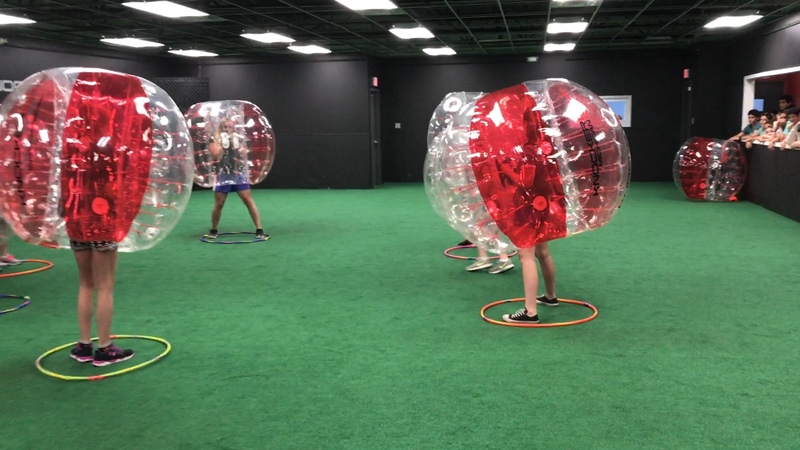 Saline, located in the Emagine Theatre complex at 1305 E. Michigan Ave Saline (734) 223-2819 We can do a party in your backyard, or a local park as well. Click on the Your Place tab to see rates for us coming to you! We open by appointment, and can book your party most anytime! Saturday's book up fast! Fill out the form at the bottom to book! Sale!!! All Parties Mon - Thur 15% off!!! Parties available any day of the week! Anytime! Make Your party a Victory Royale! - v-buck replica toy they will find in a treasure chest (chest not included). - Fortnite character key chain (13 different characters avaiable) hidden in a Loot Llama (Llama not included). 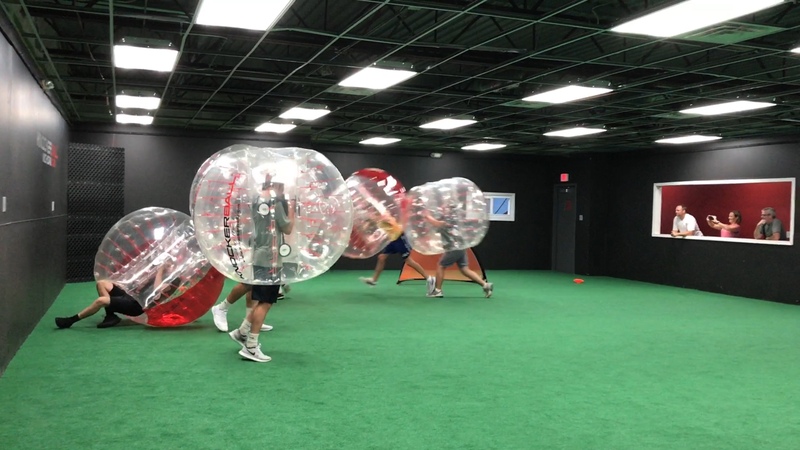 Only available with the purchase of any Knockerball party package. Prices are per person. May substitute toys based on availability. HAVE MORE THAN 24 PEOPLE? CLICK HERE FOR LARGE GROUP RATES!!! To book an awesome party, fill out the form below! We will respond ASAP! Add on Mega Connect 4 to any party for only $79! !